TELANGANA STATE CHAMPION : SASHYA SINGAREDDY congratulations Sashya got 1st place in U 7 category in Telangana State Ranking chess tournament. We wish you all the best for your future tournament's. Congratulations!! Roy Chess Academy heartfully congratulates Sashya Singareddy for securing 2nd place in Telangana State selections. She will be representing our state in National tournament going to be held in Tumkur (Karnataka) Wishing her all success!! 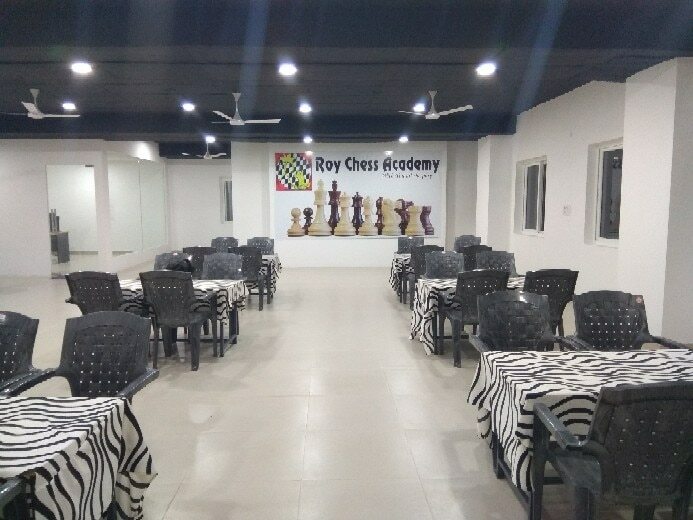 CHESS PUZZLES AT ROY CHESS ACADEMY : No one will show interest to arrange chess puzzles on boards. So, they will solve them directly from the book. But actually student will play games in the tournament on chess board.if we do chess puzzles on chess boards it would be easier to kids to identify the tactics on boards. In Roy no need to arrange they can go and solve puzzles at tactics zone..!! Roy Chess Academy heartfully congratulates Imran and Laasya for securing First and Second places respectively in U9 category in East Godavari District selections. Also both of them will be representing the district in State selections. Congratulating both of them again and wishing many succsssful plays ahead with Roy Chess Academy.